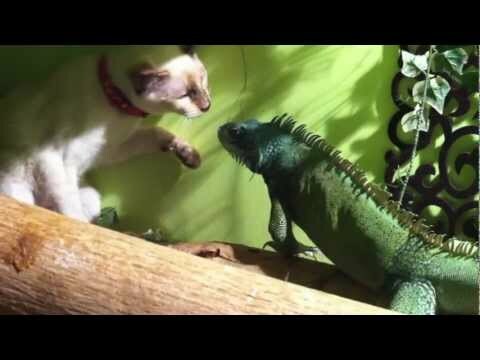 There are 2 cat videos tagged with iguana. 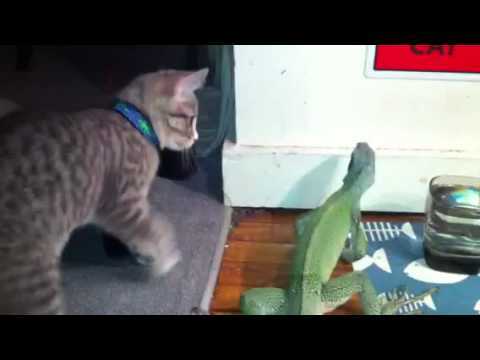 My curious kitten, Juniper chases after The Snizz, my iguana who enjoys raiding the cat food. Vesper, the kitten loves to climb into the lizard tank and is curious about the non-cat creature that inhabits this cat-tree jungle gym environment. *please note the animals are supervised in this environment, so no harm will come to them.